Sandra Bonfiglio, P.A. assists clients in all matters related to divorce, including seeking and contesting alimony during the divorce process. Our office serves men, women and families in Fort Lauderdale, Boca Raton and Broward County. Contact our experienced Fort Lauderdale alimony attorney today for more information. Permanent Alimony – Permanent support continues until the receiving spouse’s remarriage or the death of either party. Durational Alimony – Durational support is ordered for a certain period of time. Rehabilitative Alimony – Rehabilitative spousal support may be for a limited period of time to assist in redeveloping skills and financial independence. Parties requesting rehabilitative support must have a plan for their rehabilitation, such as the cost of going to school to improve skills and marketability. “Bridge-the-Gap” Alimony – Bridge-the-gap alimony allows a party to make the transition from married to single life, which may include the need to obtain a vehicle and/or money to find a new home. Permanent, durational and rehabilitative alimony are usually paid periodically (often monthly or semi-monthly), while bridge-the-gap alimony can be paid in a lump sum at one time, or over a very short period of time. Sandra Bonfilio, P.A. stays up to date on developments in Florida family law. For example, Florida recently defined short, moderate and long-term marriages for the purpose of entitlement to spousal support. A short-term marriage is one that lasted less than seven years; a moderate-term marriage is from seven to 17 years; and a long-term marriage is one which exceeds 17 years duration. The time period is measured from the date of the marriage to the date of filing the dissolution of marriage action. If you are facing divorce and need assistance with alimony in Fort Lauderdale or Boca Raton, we can provide the legal advice and counsel you need. 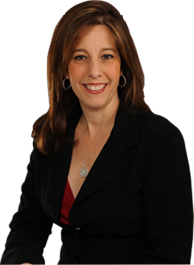 Please contact Fort Lauderdale alimony attorney Sandra Bonfiglio, P.A. to schedule a consultation. The first 15 minutes of your meeting are free.